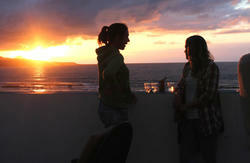 Laid-back hostel located only 2 minutes walking distance from Las Canteras beach. You can walk to a great number of bars, restaurants and clubs. 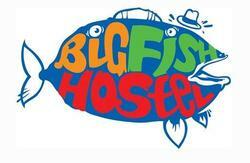 We provide an exceptionally clean, fun and sociable place to stay. Our friendly and multilingual staff will give you their maximum attention to make sure that you have splendid time in Las Palmas. We also have movie nights where you can relax watching Box-Office top films of all-time. There are no hidden costs, what you see is what you get. Facilities include a fully equipped kitchen, accommodating dining area, a spacious chill-out area with large flat screen TV, 24 hour check-in, free wifi, free lockers, and free bed linen. We have a variety of 4, 6 & 8 bed unisex dorms. A warm Spanish welcome awaits you at Utopia Las Palmas- its Heavenly and itâ€™s how we transform every aspect of your stay into an unforgettable experience. - Take bus 60 which costs about 2.90 Euros. The bus takes you to the San Telmo bus station. From the San Telmo bus station, you can take bus 17 which passes by the hostel and leave you at Plaza del Pilar. From there you walk back to Simancas Street and you will find us in the building number 54 in front of the Jet Canarias gym. - The taxi ride costs about 35 euros.